The pretty quilt is one of our new class offerings for 2018. Made with soft greys and seafoam green fabrics. 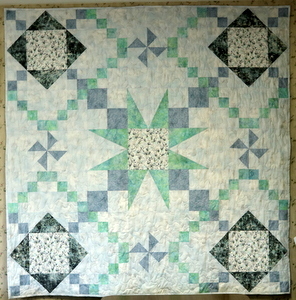 The star in the center is a wonderful focus to this quilt. Kits available while they last. Quilt measures 70″ square.